Spanish Fort is one of the fastest growing cities in Baldwin County so I always like to highlight which neighborhoods performed the best during each season. Below you will find the neighborhoods that attracted the most buyers during the Summer of 2018. 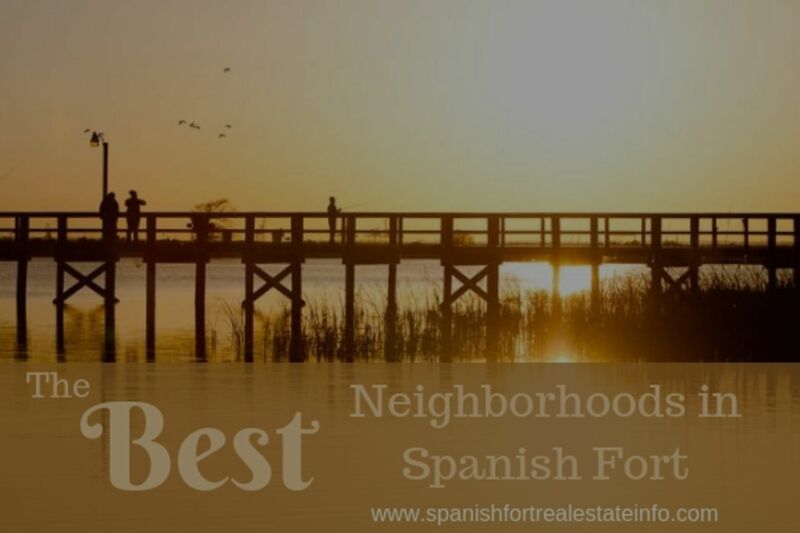 By clicking on any of the links you can find what homes are available in that particular neighborhood which include more information and photos. 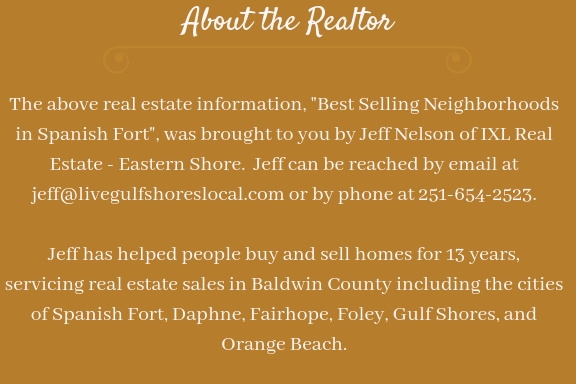 For more information about any neighborhood in Spanish Fort or if you would like a private tour of a property, please contact me.